We are really excited to share with you our latest podcast interview with Ike Willis (audio below), vocalist & guitarist For The Frank Zappa Band. 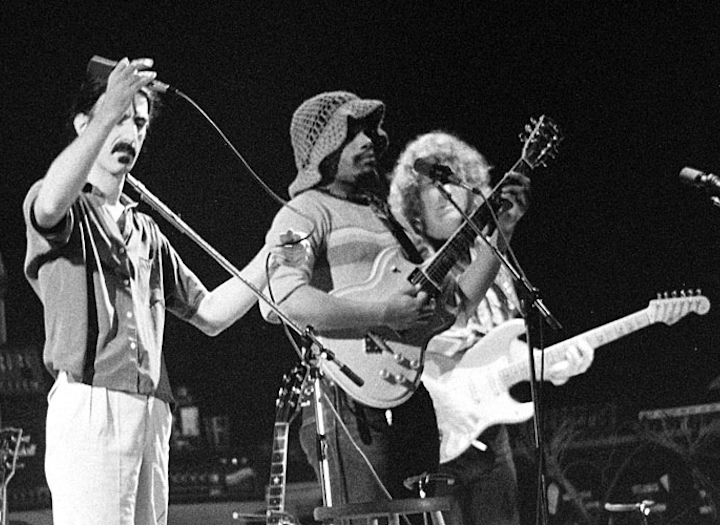 Ike was a regular member of Frank Zappa’s studio and touring bands from 1978 until the last tour in 1988. He was the longest steady member of the band, and is most recognized for his involvement on Zappa records such as playing Joe in Joe’s Garage, providing vocals on Tinsel Town Rebellion, You Are What You Is, and The Man from Utopia, and as the title character and narrator in Zappa’s off-Broadway-styled conceptual musical Thing-Fish. In addition to playing in 12 Zappa tribute bands, Ike regularly does studio voice work and writes compositions for films. He also leads The Ike Willis Band, and has released two solo studio albums under his own name and is currently working on another album.